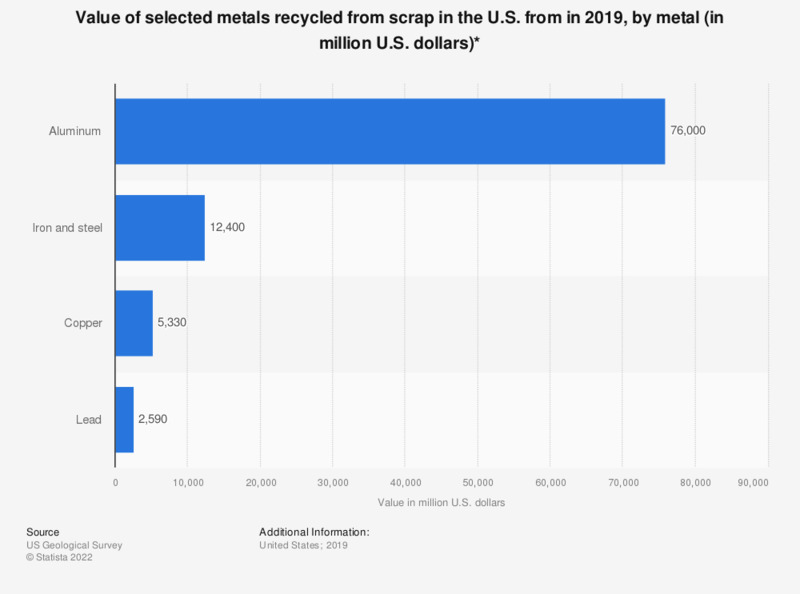 This statistic shows the value of selected metals recycled from scrap in the United States in 2016. The value of aluminum recycled from scrap came to approximately 6.35 billion U.S. dollars that year. Metal recovered from new plus old scrap. Copper: Monetary value based on annual average refined copper prices. Iron and Steel: Recycled unit value is the U.S. annual average composite price for No. 1 heavy-melting steel calculated from prices published in American Metal Market. Unit value for the year used to calculate values of recycled scrap and apparent supply of scrap.